collapseTooltip : "Click here to collapse the row"
// getMultiColumnHeaders method returns multicolumn headers array. if there aren't multicolumn headers returns undefined. This code will return the original data source used when initializing the grid. expandTooltipText : "Click here to expand the row"
//return row element in the fixed columns area when Column Fixing is enabled. 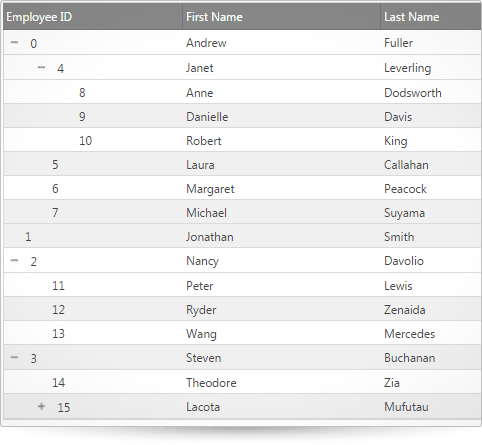 If there are no fixed columns then this property returns undefined. // returns the unbound column with key "Total"
// returns the array of unbound values for the unbound column with key = "Total"